Pepperstone Reviews - Honest Reviews Warning! Pepperstone is a popular online Forex & Crypto CFD broker, licensed by ASIC & FCA. They are owned by; Pepperstone Limited, located at: 68 Hanbury Street, London, E1 5JL United Kigndom. While reviewing Pepperstone, we see that they offer investors a wide range of underlying assets for trading. Major Forex Pairs, Minor Forex Pairs, Metals, Oil, Indexes, and Futures are all listed for trading. In the Crypto Currency space they have five products listed, however, what really sets them apart is their tight spreads on Bitcoin. At last check the spread was only $10, see here. Trading platforms are of vital importance to every day trader and active investor. You will find at this broker a nice selection to choose from. If you are already comfortable with the classic MT4 platform, they offer it. 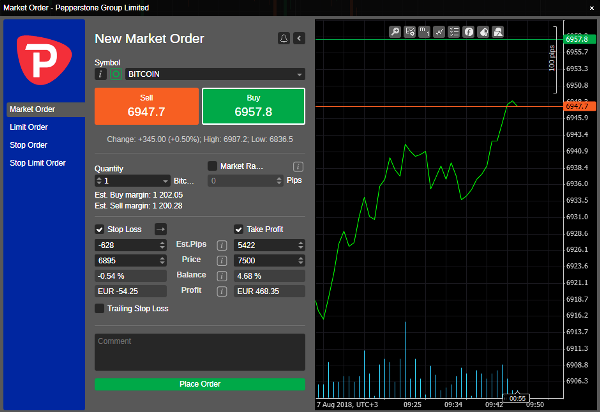 If you are looking for a nice versatile web based trading system, have a look at their cTrader software. 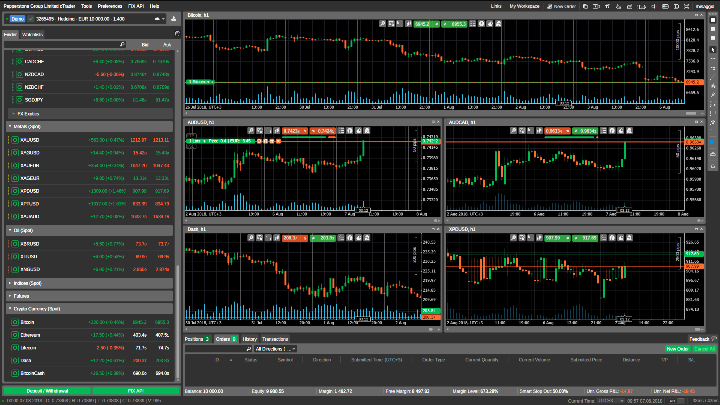 As you can see in the screenshot below, cTrader is very easy to use, and also allows for customization. This brokers offers four types of trading account, all which require a small minimum deposit of $200 AUD. Standard, Razor, Swap-Free Account, and Active Trader Program are your choices. The difference between account types are the minimum fixed spreads and commissions charged. The way Pepperstone became a global leader in the world of online trading is because they are serious about protecting their clients. All online brokers must be licensed and regulated by the government, because there are way to many scams online. Pepperstone Group Limited is licensed and regulated in Australia by ASIC, with AFSL number 414530. Pepperstone Limited is authorised by the Financial Conduct Authority UK, licensed number: 684312. This means that Pepperstone is a legitimate broker, and not a scam.